Being a local, I often see visitors flying into Cape Town, spending a few days in the city then heading up the popular Garden Route. 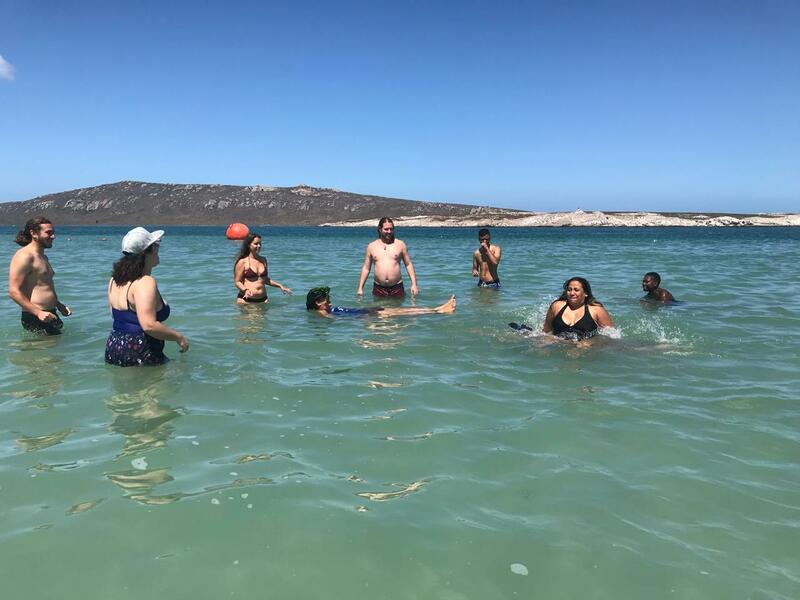 The Garden Route is extremely beautiful but what about the West Coast? The West Coast doesn’t get nearly as much love and attention as its popular cousin, but why? 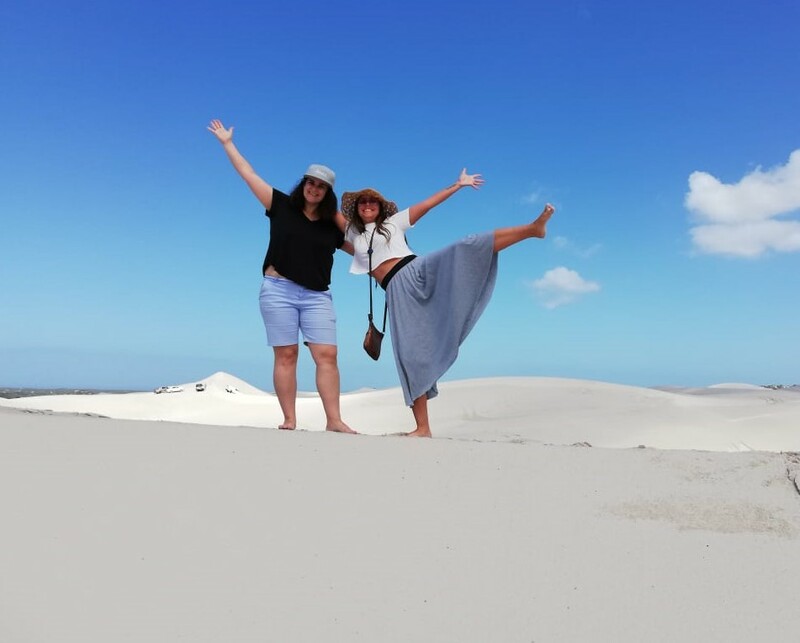 I don’t think many people know just how special the West Coast is, with pure white sand beaches, fynbos that goes on for miles, important history, breathtaking sunsets and hidden gems scattered along Route 27, it has so much to offer! 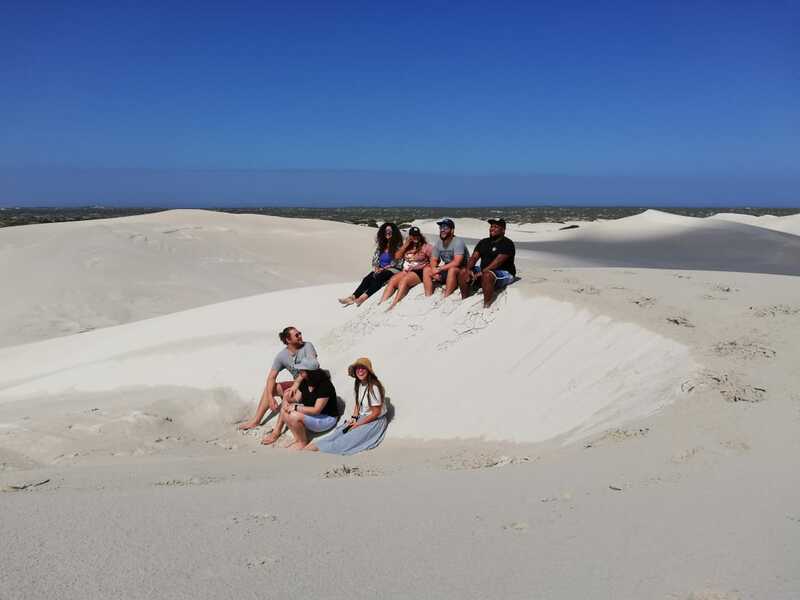 We began day 1 with a stroll on the Atlantis Dunes. These apocalyptic-type dunes make for amazing photo opportunities, we had so much fun taking pictures here that there were honestly too many to choose from. If you are a more adventurous type person you can quad-bike here too. Look how awesome? We then moved on to !Khwattu, and yes that ! isn’t a typo, ! is an actual sound and they will teach you how to pronounce it correctly. 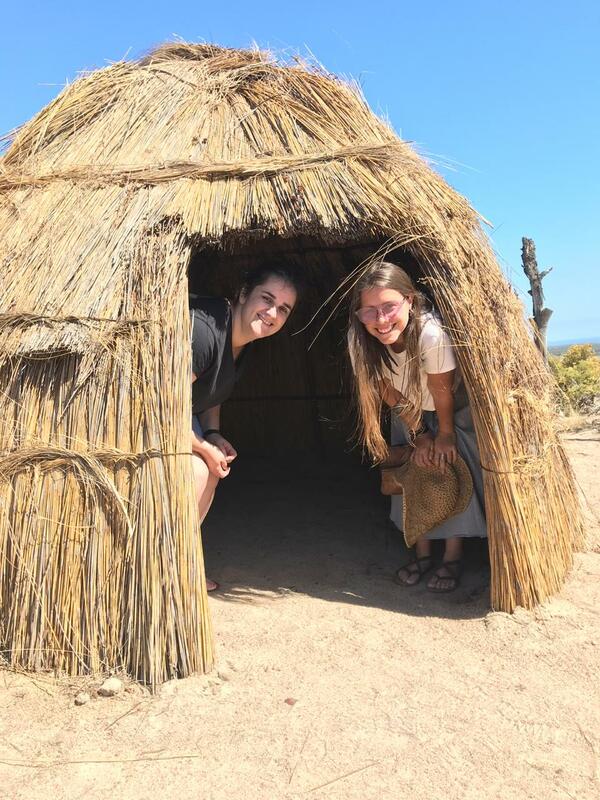 We took a trip through human history, learned all about the San culture, had a delicious lunch and then went to see how the San people used to live. 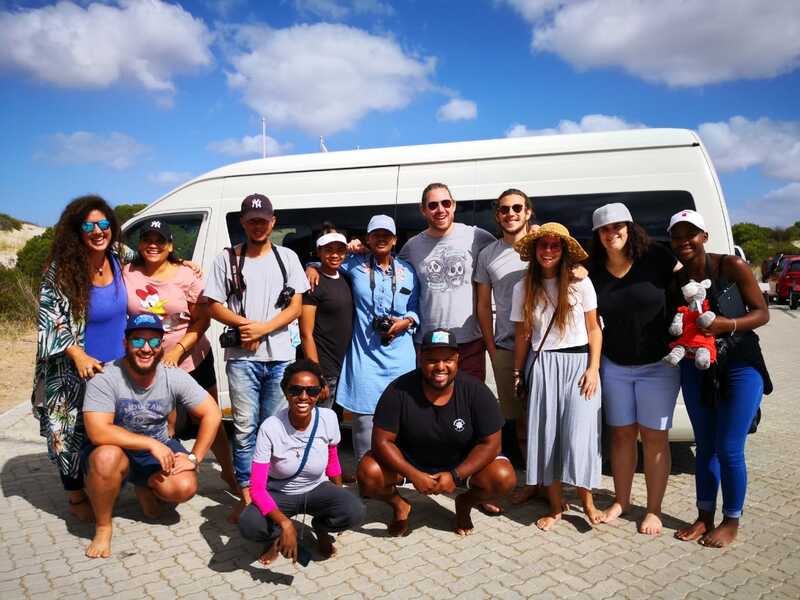 After our interesting visit to !Khwattu, we took a drive through the West Coast National Park, the park boasts more than 250 different species of birdlife, hundreds of different species of fynbos and a variety of antelope such as eland, mountain zebra and kudu, to name just a few. The West Coast is also hugely popular in the springtime when every inch is covered in a variety of colourful flowers. 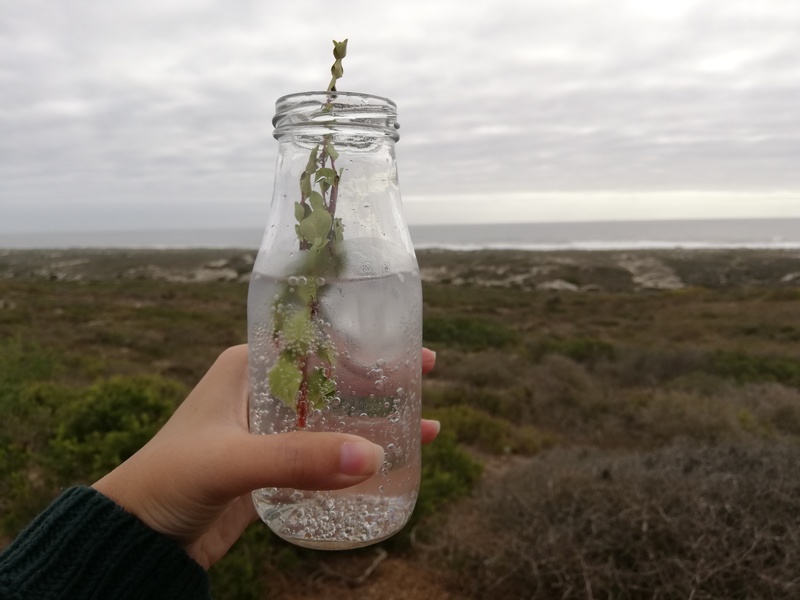 We stopped at the look out point where we tasted some delicious fynbos infused gin made by our guide, Khotso. 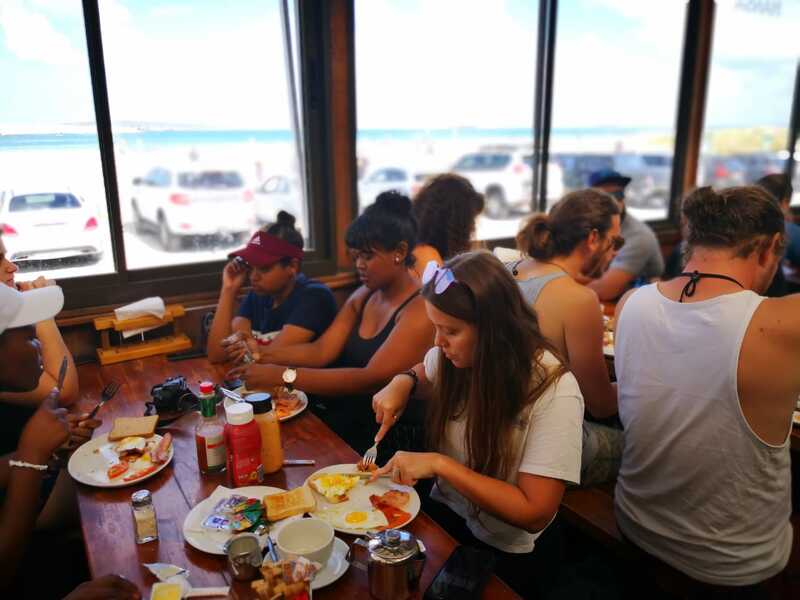 We made our way to our backpackers in Jacobsbaai, this super chilled and rustic backpackers had such an amazing vibe, with a games room, bonfire, braai area and lots of outside seating; I will definitely go back and spend a bit more time here. As soon as we arrived we dropped our bags and took a walk to the beach with some drinks. The sunset was magnificent and we couldn't have asked for a better day. We returned to the backpackers for a delicious dinner, a South African Braai, lovingly cooked for us by our guides. We all enjoyed a few more drinks, played some pool then headed to bed to prepare for a 7:30 AM departure the next morning. After a good night’s rest we woke up to some much needed coffee before heading to Drifters in Langebaan for breakfast. 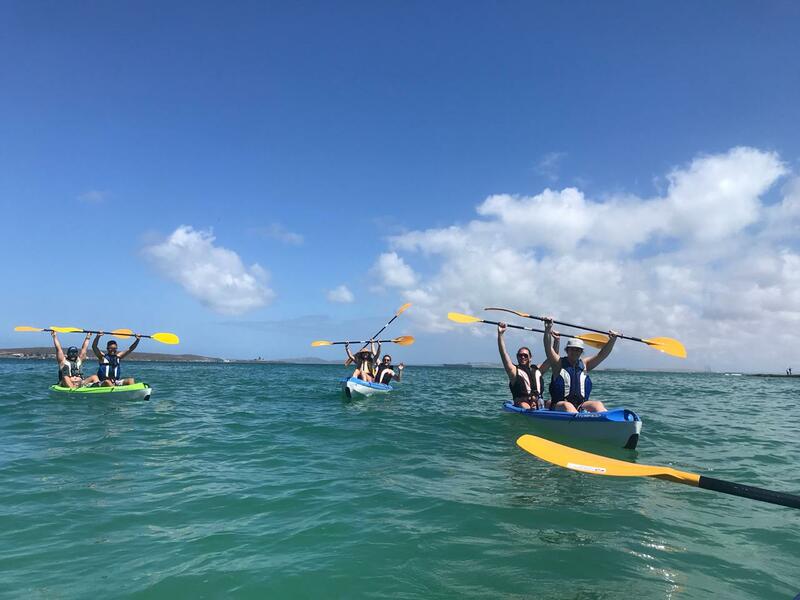 With full tummies we set out in the lagoon on tandem kayaks We spent quite a bit of time out there and even stopped for a swim. This was definitely a highlight for me, it was so much fun! 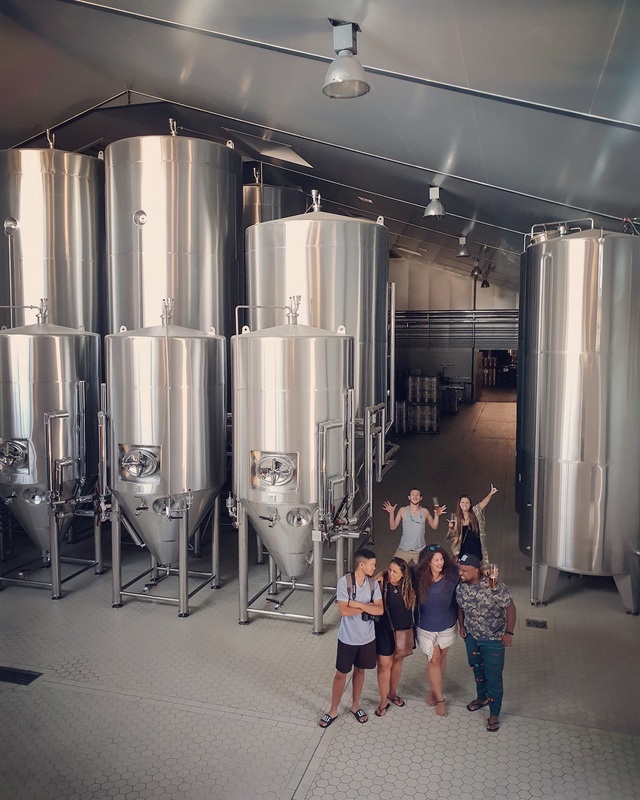 After all the physical exercise we visited Darling Brew, a carbon neutral Craft Beer Brewery just outside of Darling. I am a beer lover so this was really awesome for me, they took us on a tour of the brewery where we learned about the brewing process and tasted a variety of beers. Let me tell you that these guys know what they doing, their beers are exceptional and the lunch we enjoyed there was just as good! With full tummies and beer bellies we took a short drive to Tannie Evita Se Perron. 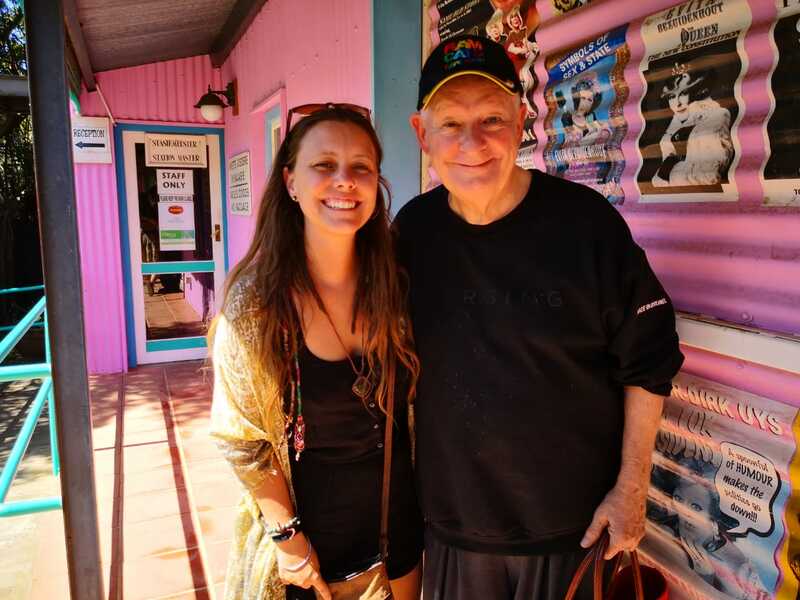 Pieter Dirk Uys is a comedian who was very popular in the 80’,90’s and early 00’s, who had an alter ego named Evita. He has since retired and opened up this quirky little museum/rest stop of sorts dedicated to his career during the turn of apartheid. It was really interesting and we even bumped into him! The car ride back to town was really quiet compared to day 1 as many of us needed a nap after all the fun over the past 2 days. We had such an amazing trip up the West Coast, with a great crew and exceptional guide. It's definitely an experience we won't soon forget! Would like to go up the West Coast? We have 1 day and 2 day tours available. Just give us a shout and we will be happy to plan an amazing experience for you, just like we had. 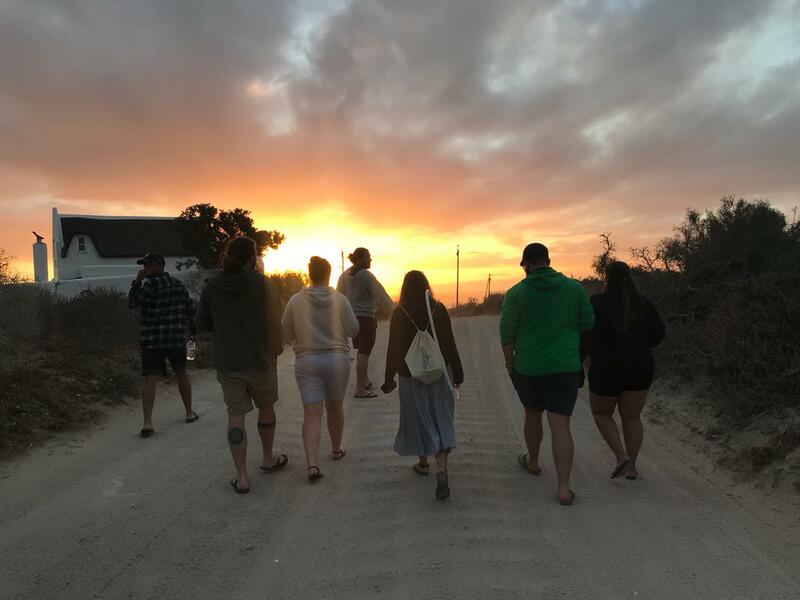 If you are going on a road trip, check out our Once on a South African Road Trip Blog with Spotify playlist to set the vibe here.